Do you remember the first time you heard about usability? We do. It was 1996… almost 20 years ago! 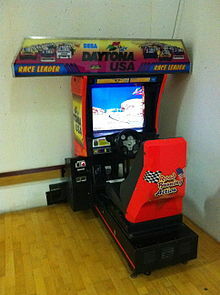 We were still in school back then and tasked with qualitatively analyzing the user experience of Sega’s Daytona USA racing video game. Specifically, it was the head-up display that was of interest and how easy it was to use the other given controls to drive the car. Little did we know back then that almost 20 years later we would still be involved in the UX industry. Sometimes we are still testing video games. Other times it is mobile apps, websites, software, or hardware prototypes. It’s been an interesting ride. We’ve seen the evolution of terminology such as MMI (man machine interface) become HMI (human machine interface) become simply UI (user interface). We remember a slightly younger Jakob Nielsen (at least on his book covers) and we read The Design of Everyday Things by Donald Norman… except back then it still had its original title The Psychology of Everyday Things. There was no Balsamiq for mocking up user interfaces, and the average person had no idea what WYSIWYG stood for. So what’s changed since our early days? Well one side of the story is that the industry has matured. The very nature of the UX industry has lead to large quantities of research and data that have helped refine research and design techniques. In this way, things are easier and more predictable. If you measure A, you can figure out B. However, another side of the story is that brand new user interfaces are created at a faster rate than any other time in history. The first iPhone was released in 2007. The iPad was released to market in 2010, and with each of these a brand new wave of testing methods and design frameworks emerged. As researchers and designers we also learned and evolved. The internet gained flexibility and speed and we started using remote testing methods for usability studies. Today our team doesn’t even necessarily need the testing rooms with the one-way glass… our one-way glass is the internet and our clients observing a study can watch from the comfort of their office or home on whichever device they choose. To sum it all up: We’ve seen a lot of stuff in our day, and we’ll probably see a lot more before we pass the torch. We bring almost two decades of experience to each project and combine it with modern testing tools. We are successful because our clients are successful. We have the resource depth and experience to ensure that your company’s project experience will exceed expectations.